The most elegant Salsa event in Chicago is back! You must be a member of the Chicago Local Activities Group to attend this activity. Would you like to join this group? Let's join again Live Band Soirée de Salsa Wednesday @Protected content the most elegant Salsa event in Chicago. This event will be back this year in March. We had a blast the other times we have joined it! Let's do it again. There will be live music performance by "Tino & The Latin Swing Factor". 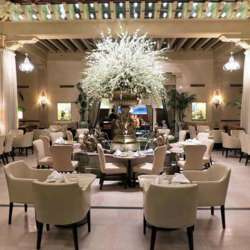 The activity is hosted at the beautiful and historic Drake Hotel (downtown) in the Palm court. The event goes from 6:30 pm to 11:30 pm. there will be a Salsa lesson from 6:30 pm to 7:15 pm. The cover for the event is $20, which includes 2 drinks. The place has a full bar. Dress to impress. Dress shows & high heels highly recommended.